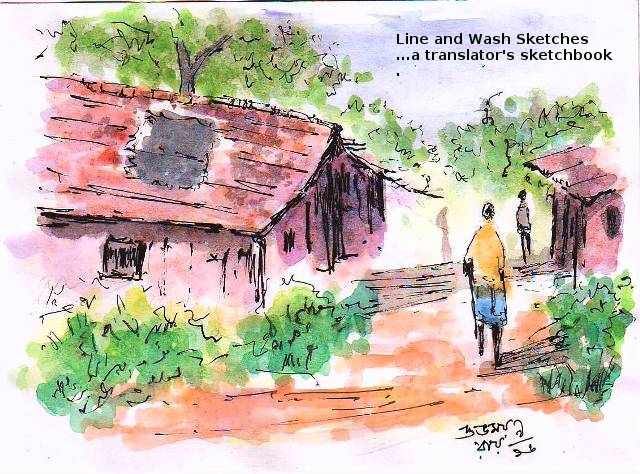 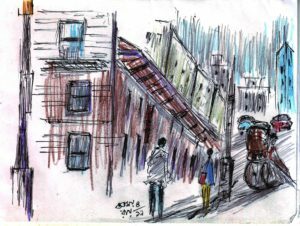 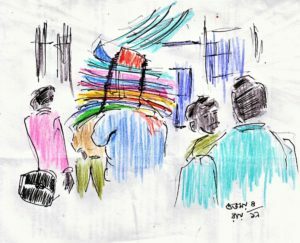 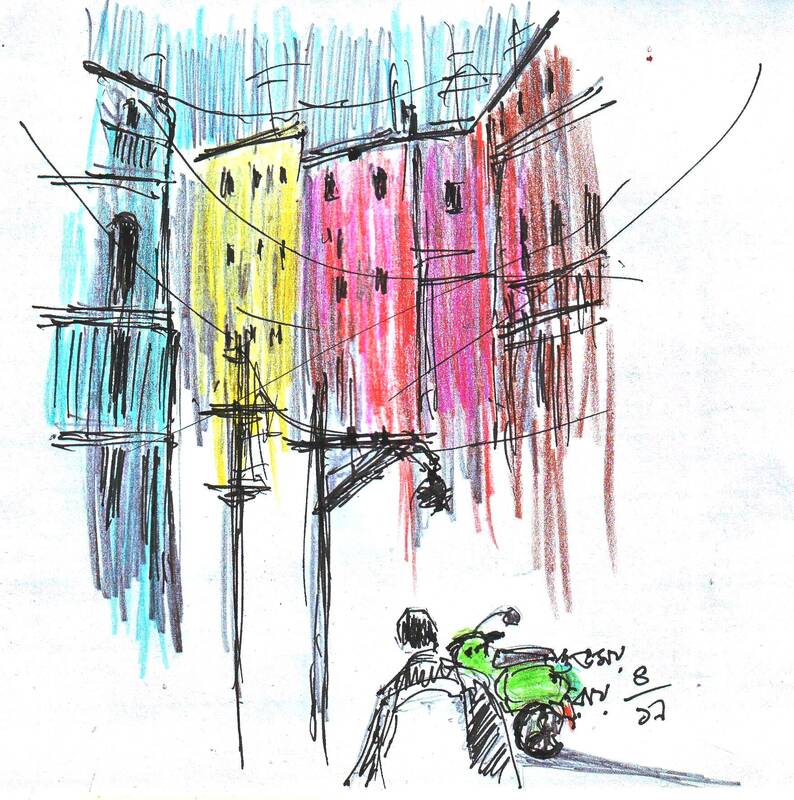 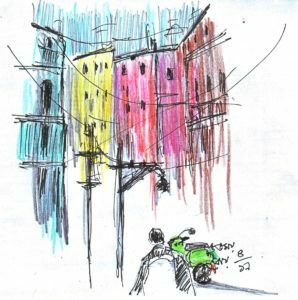 Pen and coloured pencil sketch of a street scene. 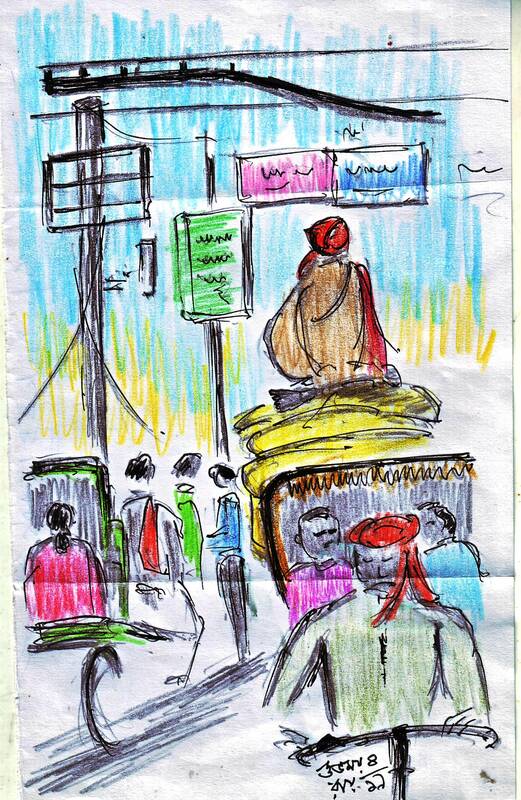 The rickshaw-puller is having his mid-day nap. 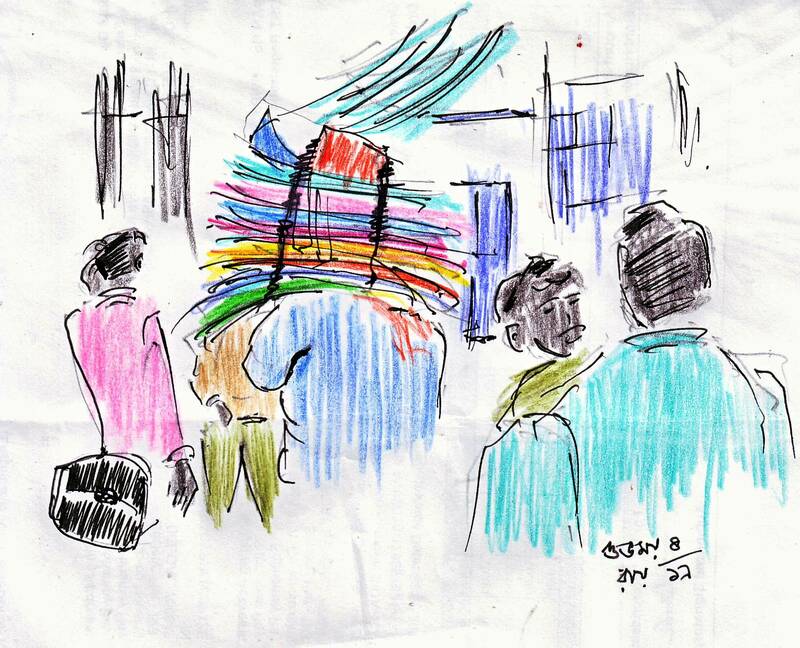 A man carries a pile of coloured cloths on his shoulders…. 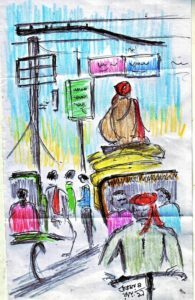 …with a man sitting atop a small goods vehicle….